Planning to spend your vacations on a cruise with your loved ones? If yes, then, you are at the right place. Yatrri Tours ranked amidst the most celebrated Tour and Travel Service Providers operating in Delhi (India). 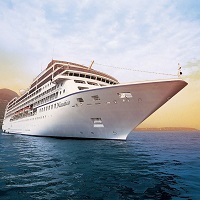 Clients who love to travel by cruise, for them we have the best-in-class Cruise Services. Our pool of experts understands the desire, requirements and budget of the client that help us in offering the most suitable Cruise Package for them and that too in the set time span. Enjoy your tour, and feel relaxed with your family and friends by availing our exclusive Cruise Services.